As much as I love donning a backpack and heading into the unknown, an aging part of me often wonders if the appeal will one day pass. Need a break from lugging around your heavy backpack? Join the club. As I get a tad older (and hopefully wiser), I often find myself wishing for an escape from the whole 40L+ rucksack scene. It’s not that I no longer love strapping one on and heading into the unknown; it’s just that sometimes it feels like an inconvenient overkill. What’s amazing about the ever-changing world of travel we live in is that there’s always a new-fangled compromise. Enter the birth of hybrid luggage. 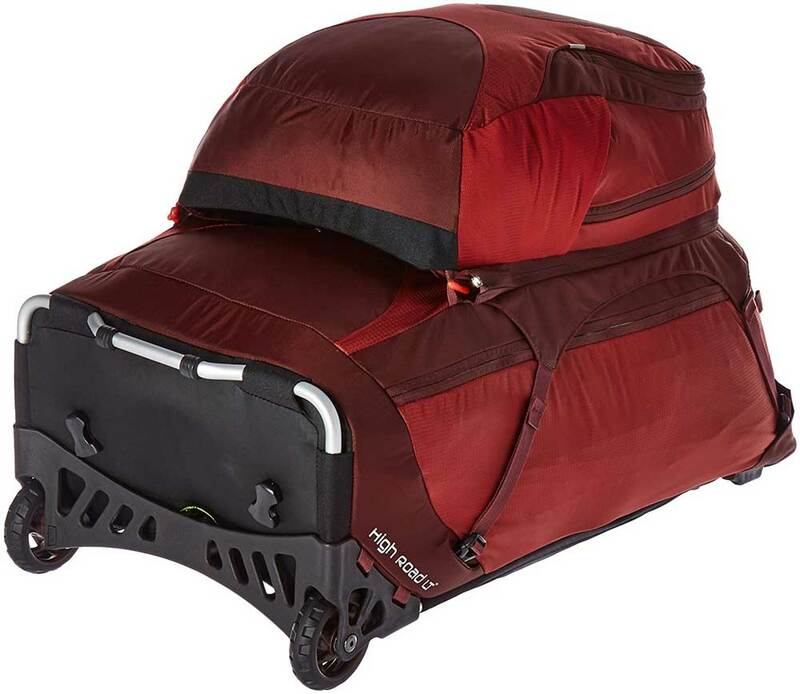 If you’re looking for a sweet spot somewhere between independent backpacker and luxury sojourner, don’t discount the amazingly convenient potential of a rolling backpack. Sure, it might not totally satisfy your adventurous side, but your body will come to appreciate lightening the load from time to time while your mind will love your newfound ability to stay organized. Compared to regular rucksacks and wheeled luggage, there’s far fewer choices among new-fangled convertible hybrid rolling backpacks. Much of what’s out there are little more than glorified school bags. And while these will no doubt get the job done for small weekenders across the state, their ability to take on a serious backpacking trip is questionable. Fortunately, there are some excellent rolling backpacks out there for us overly curious wayfarers. In this guide, I’ve focused on wheeled backpacks that are built to withstand the abuse that most travellers love to (or at least accidentally) throw at their travel gear. From bumps and bruises on airplanes to jolts from cobblestoned European streets, your luggage will inevitably take a beating. You don’t want to chance it with cheaply-made stuff. I’ve purposely excluded some of the cheaper convertible backpacks that you’ll find in other “best-of” lists like the High Sierra. In my opinion, the weak suspension systems and flimsier fabrics of models like this just aren’t suitable for tough international travel. Need more luggage ideas? Check out our guides to the best travel backpacks for men and the best travel backpacks for women by clicking here and here! For anyone entering the world of wheeled backpacks from a well-beaten rucksack, there’s no better introduction than the Osprey Sojourn 80L. From a company known for designing some of the highest quality luggage for independent travellers, it should be no surprise that the Osprey Sojourn 80L ranks atop this list. This rugged hybrid features everything you’d ever want in a rolled backpack from a fully-functional suspension system to a high-rolling chassis. What you’ll notice immediately about the Osprey Sojourn 80L is its robust 1680-denier ballistic nylon main body. Compared to even the most enduring of backpacks, this bag takes a serious beating without giving up. At 420-denier, even the nylon colour accents trample the main fabrics of some of the best travel backpacks out there. And while you shouldn’t expect the suspension system to be as comfortable as on a regular rucksack, the Sojourn performs admirably. Osprey’s own StraightJacket compression helps tighten the load and bring it closer to your centre of gravity for better weight distribution. The hip belt is padded, lined with an air mesh for more comfort. The back panel similarly features a ventilated mesh for better airflow in warmer weather. 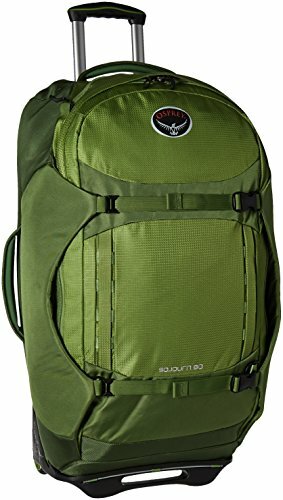 There’s only two big disadvantages of Osprey Sojourn 80L: the price and the size. With the high built quality and excellent materials, the Sojourn will set you back a little more than most standard backpacks would. At a hulking 80L, it’s also too large to use as carry-on. For more minimalist travels, you’ll need to go with something a tad smaller. Like its bigger brother, the Osprey Ozone Convertible 50L checks all the boxes when it comes to searching out the best rolling backpacks for travel. And maybe even more. This awesome piece of hybrid luggage doles out some pretty hip features that will rile up even the calmest of independent travellers. Let’s start with the typical ones. In rolling mode, the Osprey Ozone Convertible 50L glides carelessly over a variety of terrains thanks to the Highroad LT Chassis. Set with a lightweight aluminum and ABS plastic base, the chassis rides high for excellent clearance over small obstacles like storm drains or cobblestones. The wheels are big and tough, fitted with sealed bearings to keep your ride smoother for longer. Besides its wheeling capabilities, the Osprey Ozone Convertible 50L is decked out with a fully-functioning suspension system. The shoulder harness and hip belt, tucked away seamlessly inside a zippered compartment, deploys quickly to get you on the move faster. For storage space, you can hardly fault the Ozone. The bag’s spacious main compartment, accessible through a front zipper, provides more than enough room to pack for a short backpacking trip. Inside, you’ll find several additional pockets to help you better organize your stuff. And while the fabric on the Ozone isn’t quite as robust as on the Sojourn, it’s still hardly weak. Keep in mind that the smaller size makes it carry-on compatible for most airlines. 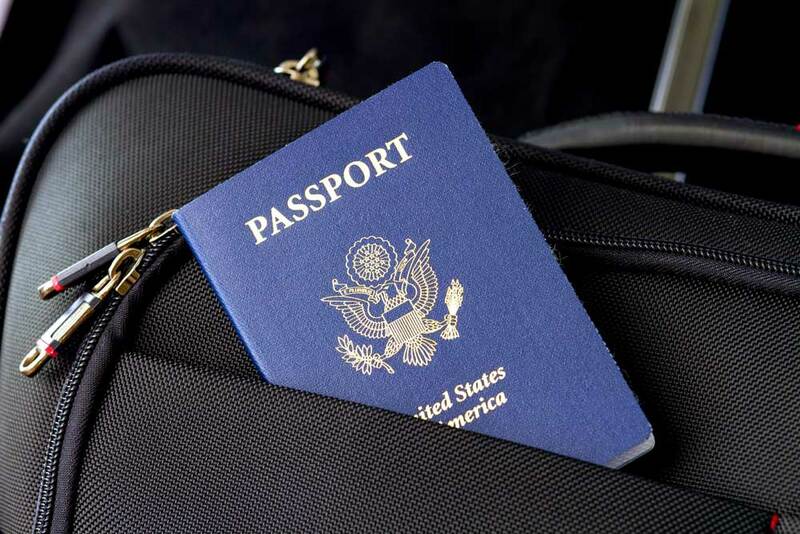 Rather than risking sending your luggage off to the dreaded airport bag-bashings, you’ll likely want to keep the Ozone by your side whenever possible. 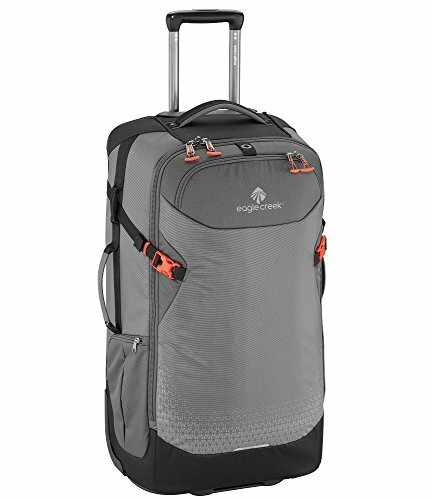 In a product category that’s low on diverse high-quality inventory, the ECBC Pegasus Convertible Wheeled Backpack is a breath of fresh air. A few cool and unique features set this carry-on-sized luggage in a league of its own among a subset of tech-savvy travellers. At the core of the ECBC Pegasus Convertible is its technology-friendly design. There’s hardly a more forward-thinking backpack on the market. From padded compartments that fit laptops up to 15″, tablets, and smartphones, to the ECBC Portable Power Pack that features a 4500mAh battery for charging your devices on the go, the ECBC Pegasus is heaven for those who whole-heartedly refuse to take a digital detox while on the road. If there’s any major gripe about the ECBC Pegasus Convertible it’s the storage space. Designed to fit as carry-on, space is already at a premium in a bag like this. Add to that all the modules to fit your technology, and there’s not much room left for your other essentials. For a weekend trip, this isn’t likely a problem. But for something a little more substantial, you’ll like need to move to a bag with a little more space. The other downside of the ECBC Pegasus Convertible is the harness. Although you’ll likely be using the bag most in wheeled mode, the lack of a full suspension system with a hip belt and mesh ventilation leaves a little to be desired here. When it comes to creating reliable luggage, Eagle Creek always seems to deliver. And when laying out these top wheeled backpacks, it’s hardly a surprise to see the Eagle Creek Expanse Convertible 29 dropping in for a visit. 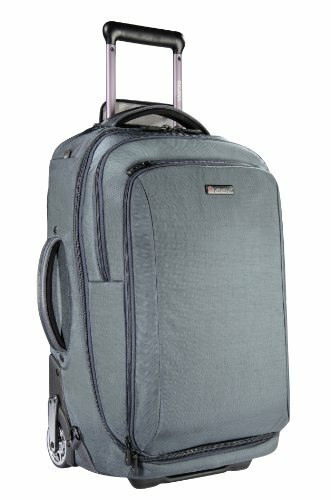 What you’ll love about this rolling backpack is the attention given to the backpack portion of the bag. On many wheeled backpacks, the suspension system seem an afterthought. That’s not the case with the Eagle Creek Expanse Convertible. The zip-away suspension system is fully-featured on the Eagle Creek Expanse Convertible 29. The shoulder harness adjusts to various torso lengths and is complemented by a padded hip belt and load stabilizer straps including a sternum strap to keep the weight centred. 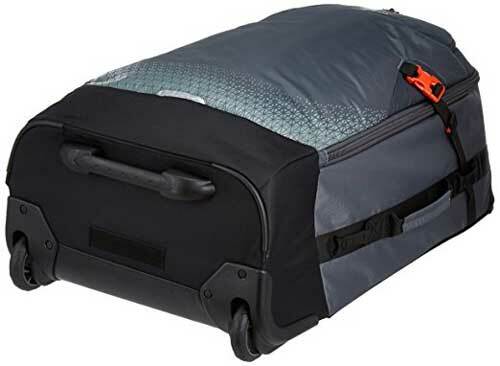 And for space, the Eagle Creek Expanse Convertible 29 fills it to the max it with a beefy main compartment that features internal & external compression straps to tighten the load. The deep front external pocket helps you stash important items like your passport or reservations. For a dash of extra security, all the zippers are lockable and feature a Central Lock Point that secures zippers to quickly thwart would-be pickpockets. Another huge bonus of the Eagle Creek Expanse Convertible 29 is its durability. Built with a scuff-resistant Bi-Tech™ Armor Lite fabric, you’ll be able to toss your bag around worrying about tearing or damage. Even the wheels are robust, helping you negotiate rough terrains that most wheeled backpacks couldn’t handle. In case you’ve haven’t noticed, Osprey’s got the wheeled backpack market slightly cornered. Putting the Osprey Meridian 75L on this list shouldn’t testify to my lack of imagination, but to Osprey’s commitment to releasing consistently great luggage products. If you thought the Sojourn was a beast, you’ll be shocked by what the Osprey Meridian offers. All of the same great features are present here with the added bonus of an even tougher shell. The 1680D ballistic nylon with a 3420D nylon Oxford accent is the most robust out of all of these picks. This backpack will take a serious bruisin’ without giving up. On top of its tough exterior, the Osprey Meridian 75L features a detachable daypack for your inter-day adventures. Carry up to a 15″ laptop, a tablet and your emergency rain gear as you head onto the streets of your favourite new city. From the airport to your hotel, the Osprey Meridian 75L offers a controlled ride thanks to the lightweight High Chassis. With its high clearance and durable wheels, the backpack moves admirably over a variety of surfaces from bumpy cobblestones to dirt paths through city parks. 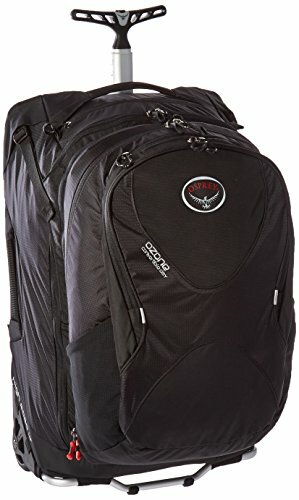 If there’s any one complaint about the Osprey Meridian 75L it’s the suspension system. Although the shoulder harness is well-designed, recent modifications to the line removed the hip belt. Since this the keystone to distributing weight evenly, the Meridian isn’t quite as comfortable to wear as a rucksack compared to Osprey’s two other popular convertible rolling backpacks. Need the best all-around performer? The robust and feature-rich Osprey Sojourn 80L is perfect for a longer journey where you need a tad more space. Want to best value for your money? The Eagle Creek Expanse Convertible 29 is an excellent all-around performer that delivers a steady ride and a robust finish for excellent durability. Can’t be without all your tech? The ECBC Pegasus Convertible is luggage made with the 21st-century in mind. The included power bank and TSA-friendly FastPass system are features you’re not likely to find elsewhere. I’ve mentioned before that backpacking knows no age. And while that’s true to an extent, that’s not to say that it doesn’t become more difficult or irritating in time. If you’re still stuck with a top-loading backpack, which was definitely the ultimate standard until fairly recently, you’ll already know one of the major inconveniences of most backpacks. Adding onto packing and organizing hassles is the obvious disadvantage of hauling a heavy load over long periods of time. Any long-term backpacker will tell you that this isn’t something that gets easier over time. As we get older, our bodies crave less stress, not more of it. And sometimes adding a physical burden to the already mentally-challenging trials and tribulations of travel, won’t do much good. Picking the right luggage should be the least of your worries. I’m not here to tell what’s right or wrong. There are no simple universal answers when it comes to travel, as much as others in the blogosphere would like to spout off. Whether you use a suitcase, a 40L backpack or wheeled luggage matters far less than simply allowing new destinations and new ideas unfold before your eyes. Okay, so I’ll admit it: Wheeled backpacks aren’t exactly cool. Well, at least that’s what most the travel blogging community would probably say. Frankly, I could care less. When you’re deciding on your new luggage there should be only one thing on your mind: comfort. Sure, things like style and space matter, too. But, first and foremost, you need something that will get you from point A to point B in the most comfortable way possible. And that’s exactly why you should consider getting a rolling backpack. Even if you’ve applied the best minimalist packing techniques known to man, a rucksack can still weigh down on you. An extra fifteen, twenty (or more!) pounds of pressure on your body isn’t easy in the best of times. Let’s not forget that, on it’s own, travelling isn’t always the more comfortable of activities. Cramped airplane seats, buses and long days on your feet are enough for the body to handle without the stress of throwing in a multi-kilometre walk with extra poundage to compress your spine. With a good rolling backpack, you’ll be able to save your back some pain and move seamlessly through the streets with little friction. It certainly sounds like a much more luxurious way to travel, doesn’t it? Granted, no one would ever accuse these bags of making you look like a high roller. But unlike ambling in with a hiking pack straight from the backwoods of Northern Ontario, you’ll look a tad more refined strolling in with a rolling backpack. Choosing a backpack with wheels isn’t so different than picking out a regular rucksack or rolled suitcase. It’s really a combination of the two. What you’ll have to remember is that a wheeled backpack is, despite its name, closer to a rolling carry-on than a rucksack. 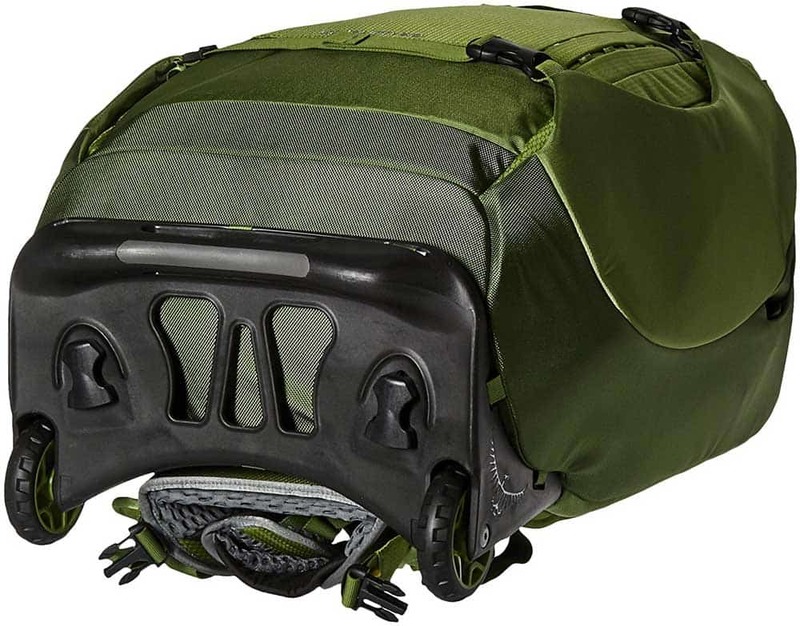 They are designed to be used mostly as rolled luggage, so what you’ll find regarding suspension systems and organizational capabilities will be much different than a standard backpack. 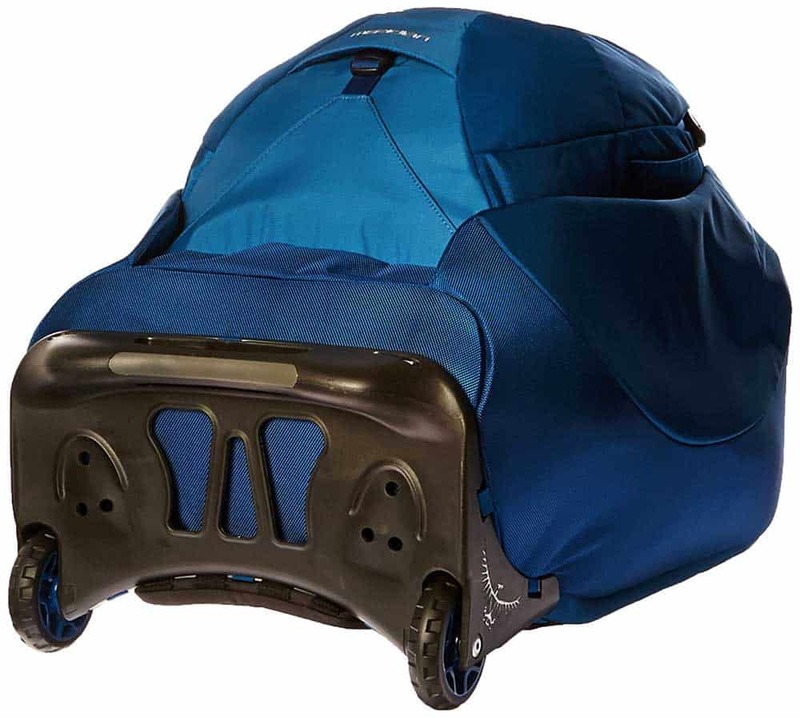 Wheeled backpacks tend to be made with slightly sturdier fabrics than regular backpacks. Since rucksacks are designed to be light on your back, they tend to use less dense materials to shed some of the weight. Not bound by the same restrictions, rolled luggage tends to go a little thicker. For example, the Osprey Meridian features a 1680D nylon while the similar non-wheeled Osprey Porter 46 only sports a 420D nylon. Besides the fabric, you’ll want to ensure that the rest of the pack holds up as well. Keep in mind that there’s always a trade-off between the quality of materials and weight. Look for bags with a good lightweight aluminum frame, high-quality molded chassis, and robust wheels with strong bearings. Like other types of luggage, rolled backpacks come in all shapes and sizes. 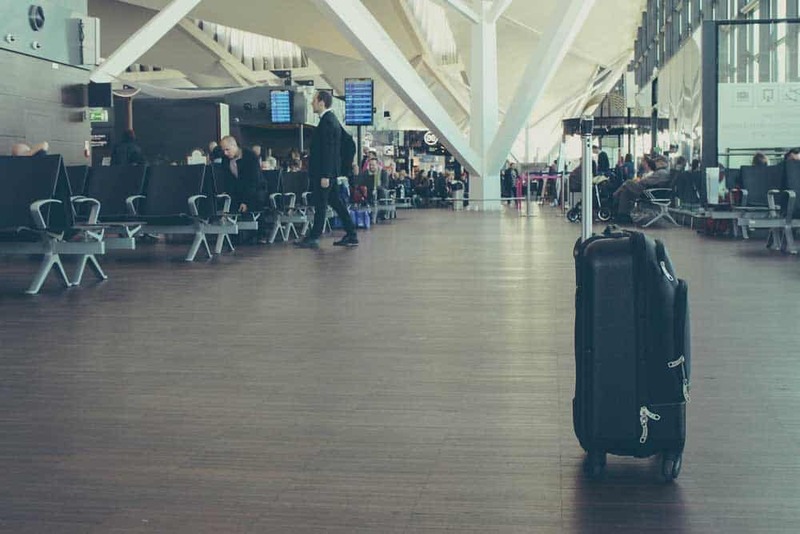 For short trips abroad, you should be able to get away with a carry-on-sized rolling backpack, about a 30L capacity, assuming you’ve applied a little minimalist packing. Bigger bags like the Osprey Meridian 75L are best for slightly longer forays. The main concern with anything plopping on your back should be whether or not it’s comfortable. Although it won’t likely spend as much time on your back as on the ground, your wheeled backpack should feature a well-padded harness, and, if you’re planning to wear the pack often, a hip belt to better distribute the weight. Extra features like compression straps help not only to pack your bags tighter, but bring the load closer to your centre of gravity for more comfort. You’ll also want to pay attention to the materials on the suspension system. Look for shoulder harness and hip belts with mesh ventilation to keep you cooler in warmer weather. Perhaps most important is to decide whether a rolling backpack is right for you. Planning on undertaking an epic mountain trek in the Andes? This probably isn’t for you. 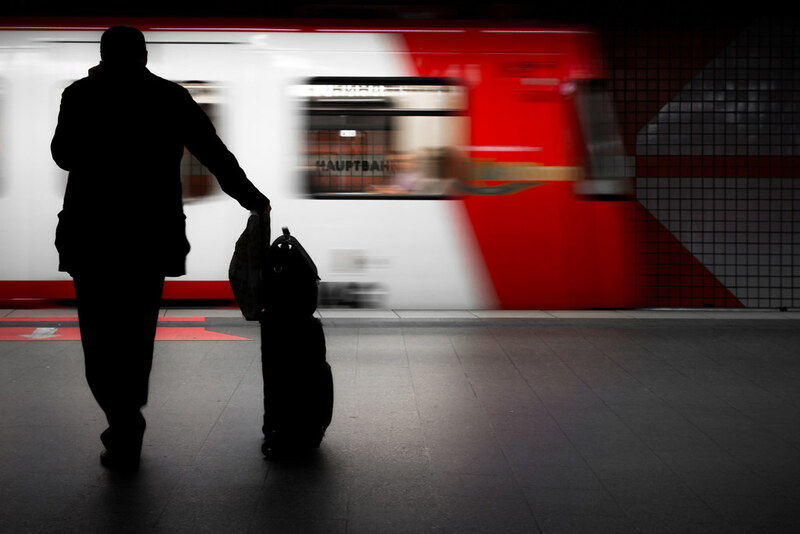 City-hopping in Europe? That’s more like it. Compared to all the features above, this should be one of your smallest concerns. That being said, you obviously want a bag that doesn’t look terrible. Most of our choices for the best rolling backpacks for travel, while certainly not winning any fashion awards, look relatively professional and reasonably sleek. If you need something with a little more pizazz, a wheeled backpack might not be the right choice.